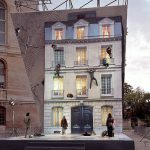 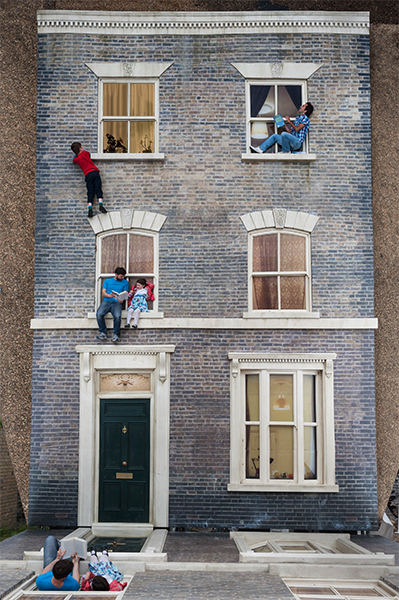 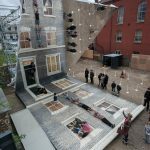 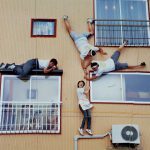 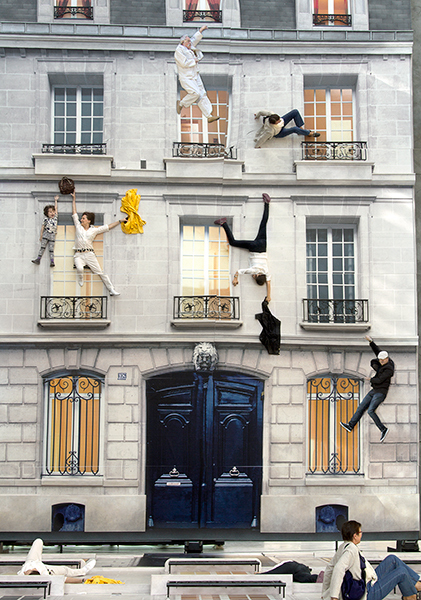 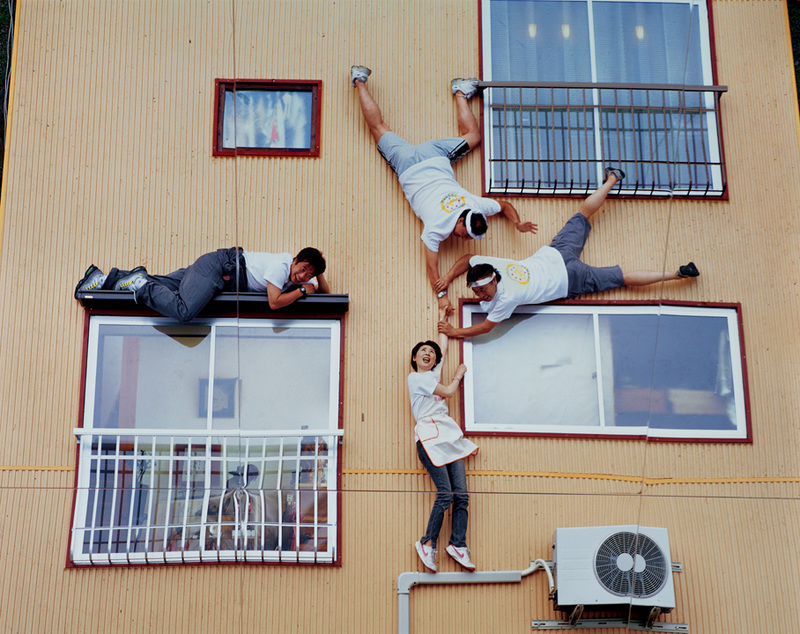 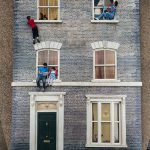 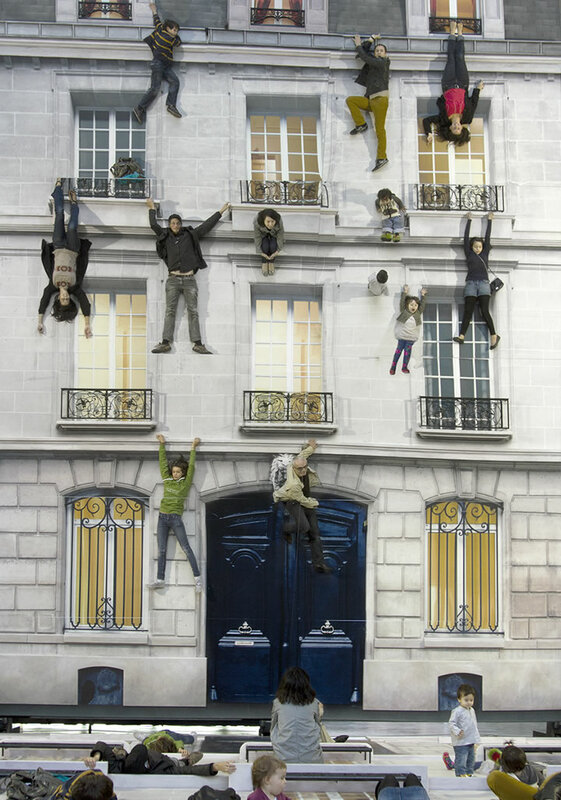 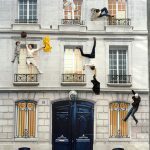 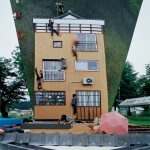 Leandro Erlich’s Bâtiment was first built in 2004 for the annual Parisian art festival “Nuit Blanche”, which spreads throughout the city for one night. 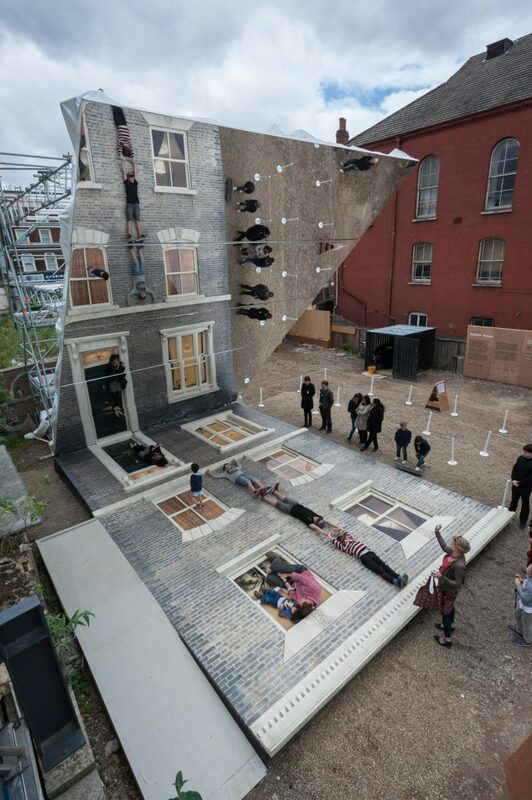 Because so many people stroll about, the artist realized the project had to be large and accessible. 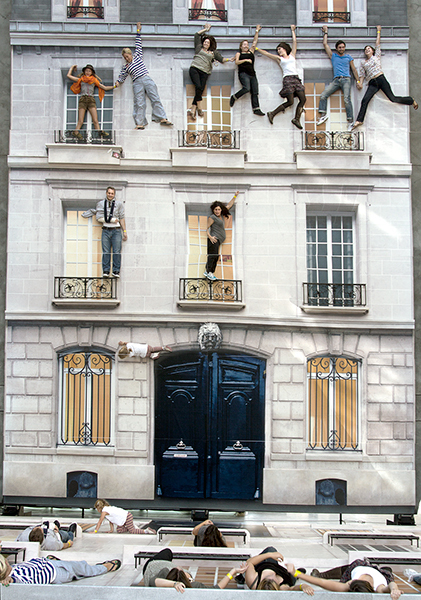 He wanted it to be like a dream come true: defying the laws of gravity for a short moment… Even if all the viewers would not physically interact with the work, they would have left some photographs as a proof of a unique experience… Every version of Bâtiment is inspired by the architecture of the area where it’s placed (Paris; a p town in Japan; Buenos Aires; Donetsk…). 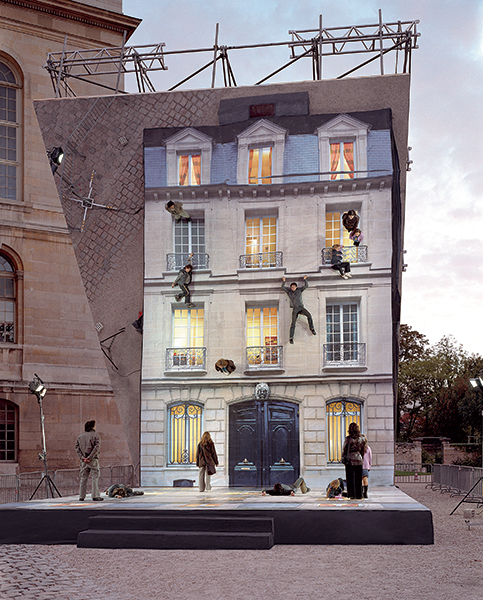 If art has the power to define beauty, Erlich thought that it was important for the “spect-actors” to come and interact freely with an artwork that looked like their home ground, not some ideal. 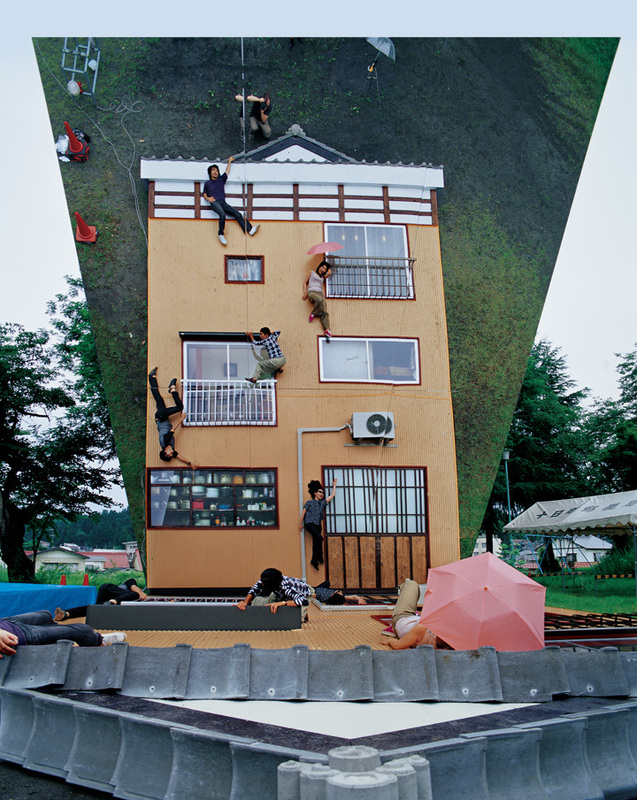 Chacune des versions de Bâtiment s’inspire de l’architecture du lieu dans lequel elle est installée (Paris ; une petite ville du Japon ; Buenos Aires ; Donetsk…). 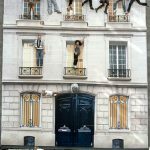 Si l’art a le pouvoir de dessiner les contours du beau, L. Erlich a pensé qu’il était important que les « spect-acteurs» puissent interagir librement avec une œuvre qui ressemble à leur environnement familier, non avec un idéal.